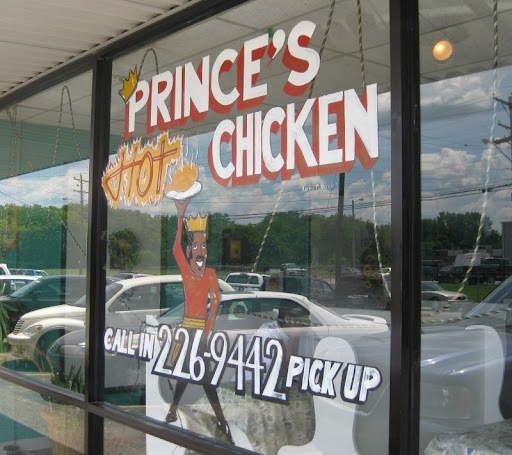 I had read that one thing we needed to try in Nashville was Hot Chicken and that the place to get it was Prince's. So, on a blisteringly hot day we made the pilgrimage. We joined a bunch of other sweating customers patiently waiting for their food as the kitchen meticulously cooked up one order at a time. Finally, our order was up. 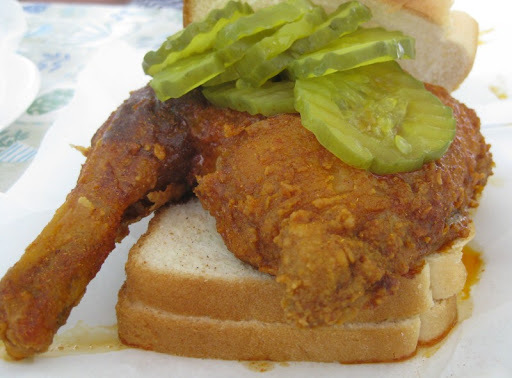 I got a leg quarter, medium spicy with extra pickles and bread. I knew from my research that I probably didn't need to go spicier than medium, and sure enough it was very hot (both in temperature and spice level). 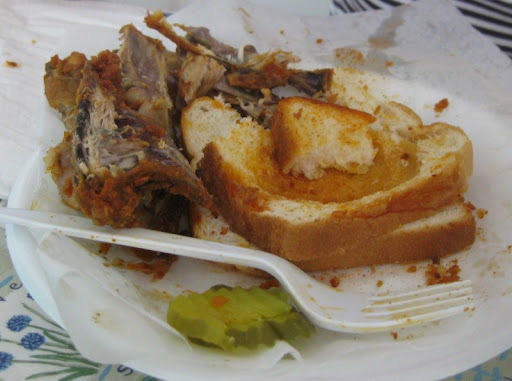 It was also very tasty - nice and crunchy outside and perfectly moist on the inside. Sherry got a breast quarter, mild. It was still plenty hot, though - not a bad way to go if you don't like really spicy food. Good eats. 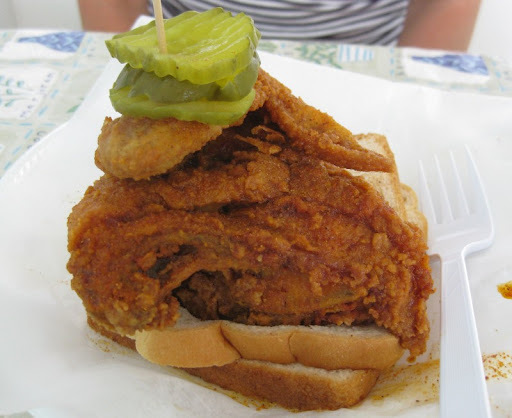 Definitely not to be missed when visiting Nashville. Hey Michael - It's the wonderbread that makes it the real deal for me....down South, they always include bread slices. Kirk - it's true, we did have more wonderbread on this trip than in recent memory. It worked really well in the context, though. Matt - we really wanted to try some hot fish as well, but we ran out of time. Maybe on our next visit.